Two weeks into his tenure on Capitol Hill, U.S. Sen. Rick Scott, R-Fla., is backing a proposed constitutional amendment to enact congressional term limits championed by U.S. Sen. Ted Cruz, R-Texas, and two other Florida Republicans. Scott announced his support for the proposed amendment introduced by Cruz and U.S. Rep. Francis Rooney, R-Fla. Under the amendment, senators would be able to serve two six-year terms while members of the House would be able to serve three two-year term. 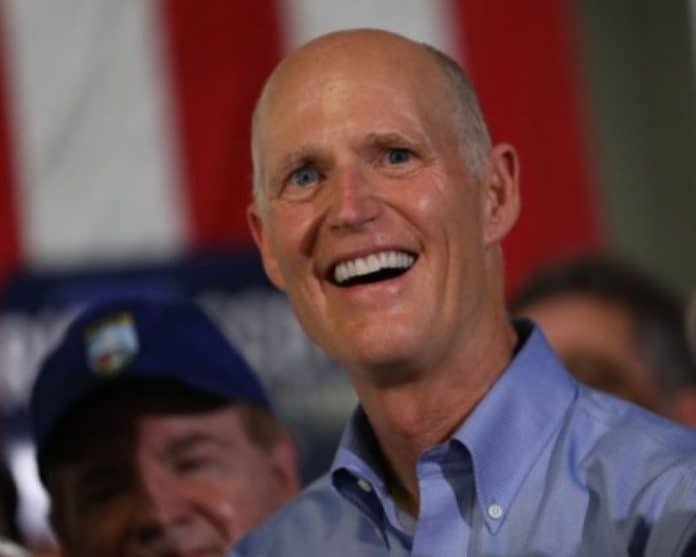 “Requiring term limits on members of Congress is the first step in Senator Scott’s plan to Make Washington Work for Florida families,” Scott’s office noted. Scott weighed in on the proposed amendment on Wednesday. “I spent a career in business and one thing is clear: career politicians are never going to change Washington; that’s evident now more than ever,” Scott said. “I’m proud to be working to implement term limits for all members of Congress to make sure elected officials work for Americans, not for themselves. The only people who don’t understand why we need term limits are in Washington, D.C. but I wasn’t elected to represent them. I was elected to represent Florida families. Cruz and Rooney brought out the proposed amendment earlier this month. While they were rivals for the Republican presidential nomination in 2016, U.S. Sen. Marco Rubio, R-Fla., is backing Cruz’s resolution as a cosponsor.